Yanaka, Nezu and Sendagi are the areas located to the northwest of Ueno area. Sometimes this three areas are collectively called “Yanesen” from those initials. Basically the areas spread at the western side of the section between Ueno and Nishi-Nippori stations on JR Yamanote Line. And the area has a diameter in the range of about 1.5 km. Around the middle of the 17th century, Edo government moved many Buddhist temples to this area by following its policy. Additionally, a great fire occured in central Edo city in 1657, so burned temples also moved here. Since that, this area had been known as the town with many temples. 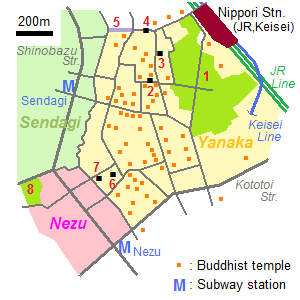 In Yanaka district, there are nearly 70 Buddhist temples today. This area were relatively damaged a little, when the Great Kanto Earthquake occurred in 1923 and the Great Tokyo Air Raids were made in 1945. So this area hold the old commoner’s houses and cityscapes. 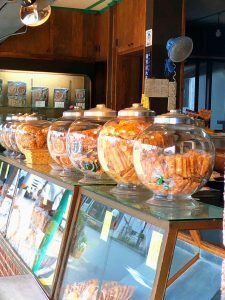 This area has no famed tourists spot contrast to the more common scenes of modern Tokyo, such as the crowds at Shibuya Crossing, the buzz of electronics in Akihabara, dizzying lights of Shinjyuku, and futuristic buildings of Odaiba. 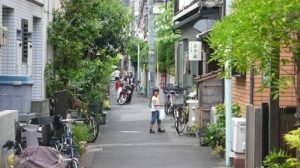 But when you walk around this area, you can discover the ordinary Japanese people’s lives.